Looking for a durable yet affordable adult rescue mannequin? 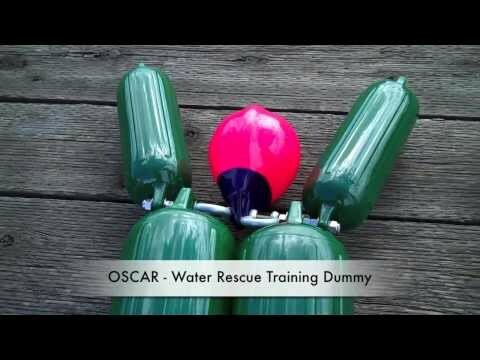 The OSCAR Water Rescue Training Dummy is used by the US Coast Guard, municipalities, rescue training organizations, and companies committed to properly training their employees in water rescue procedures. The simplicity of OSCAR’s construction makes it the best water rescue dummy and the best value for your man-overboard, swift water, and other rescue training procedures. Using a training dummy that weighs and floats like a human adult will make sure your rescue team is ready for the realities of a rescue operation. In comparison to other products, the OSCAR Water Rescue Training Dummy (National Supply Number NSN 6910015386497) is lighter, more durable, and less expensive. Our water rescue dummy features a realistic weight, an affordable price point, and a durable construction to withstand harsh environments and repeated use. OSCAR is constructed with heavy-duty vinyl and stainless-steel hardware that can be easily replaced if needed. Call 1.800.426.4201 or purchase through CPR-Savers.com, OceanMedix or Seattle Marine Fishing Supply. Please note that prices may vary between the listed Dealers. "What we really like about OSCAR is its parts are standard and replaceable, even though we've never had to replace any parts." "Before we had OSCAR we dreaded training exercises just because of the weight of the training dummy we had to deal with. OSCAR made training a lot easier and more successful."